“Extreme Whether gives great insight into the reality of climate scientists. It shows the struggles of an activist who is fighting for the betterment of the human race through protection of the Earth, all the while dealing with personal family issues…"
A new production of the post-Paris version of Extreme Whether, directed by Karen Malpede. Extreme Whether is the story of a family divided over climate change. Premiered at Theater for the New City in New York, in 2014, it has been seen in Paris in 2015, as part of ARTCOP21, during the historic UN Cop21 which produced the international Climate Accord; it has been staged in Copenhagen, Tennessee and Oklahoma by student and amateur groups. In a new post-Paris production, it was presented at LaMama ETC in March, 2018. Written and directed by Karen Malpede, Set Design by Gian Marco Lo Franco, Lighting by Tony Giovannetti, Costumes by Carisa Kelly and Sally Ann Parsons, Music by Arthur Rosen. Emma Rose Kraus in "Extreme Whether," written and directed by Karen Malpede, presented by La MaMa March 1-8, 2018. Photography © Beatriz Schiller 2018. Dee Pelletier and George Bartenieff in "Extreme Whether," written and directed by Karen Malpede, presented by La MaMa March 1-8, 2018. Photography © Beatriz Schiller 2018. Rocco Sistop and Dee Pelletier in "Extreme Whether," written and directed by Karen Malpede, presented by La MaMa March 1-8, 2018. Photography © Beatriz Schiller 2018. George Bartenieff and Emma Rose Kraus in "Extreme Whether," written and directed by Karen Malpede, presented by La MaMa March 1-8, 2018. Photography © Beatriz Schiller 2018. Khris Lewin, Clea Straus Rivera and Rocco Sisto in "Extreme Whether," written and directed by Karen Malpede, presented by La MaMa March 1-8, 2018. Photography © Beatriz Schiller 2018. Clea Straus Rivera, Dee Pelletier and Khris Lewin in "Extreme Whether," written and directed by Karen Malpede, presented by La MaMa March 1-8, 2018. Photography © Beatriz Schiller 2018. Dee Pelletier and Khris Lewin in "Extreme Whether," written and directed by Karen Malpede, presented by La MaMa March 1-8, 2018. Photography © Beatriz Schiller 2018. Rocco Sisto and Dee Pelletier in "Extreme Whether," written and directed by Karen Malpede, presented by La MaMa March 1-8, 2018. Photography © Beatriz Schiller 2018. Clea Straus Rivera and Rocco Sisto in "Extreme Whether," written and directed by Karen Malpede, presented by La MaMa March 1-8, 2018. Photography © Beatriz Schiller 2018. Rocco Sisto in "Extreme Whether," written and directed by Karen Malpede, presented by La MaMa March 1-8, 2018. Photography © Beatriz Schiller 2018. Khris Lewin in "Extreme Whether," written and directed by Karen Malpede, presented by La MaMa March 1-8, 2018. Photography © Beatriz Schiller 2018. Khris Lewin and Dee Pelletier in "Extreme Whether," written and directed by Karen Malpede, presented by La MaMa March 1-8, 2018. Photography © Beatriz Schiller 2018. Rocco Sisto and Clea Straus Rivera in "Extreme Whether," written and directed by Karen Malpede, presented by La MaMa March 1-8, 2018. Photography © Beatriz Schiller 2018. George Bartenieff in "Extreme Whether," written and directed by Karen Malpede, presented by La MaMa March 1-8, 2018. Photography © Beatriz Schiller 2018. Dee Pelletier in "Extreme Whether," written and directed by Karen Malpede, presented by La MaMa March 1-8, 2018. Photography © Beatriz Schiller 2018. L-R: Emma Rose Kraus, Rocco Sisto, Dee Pelletier in "Extreme Whether," written and directed by Karen Malpede, to be presented by La MaMa March 1-8, 2018. Photography © Beatriz Schiller 2018. Dee Pelletier and Rocco Sisto in "Extreme Whether," written and directed by Karen Malpede, to be presented by La MaMa March 1-8, 2018. Photography © Beatriz Schiller 2018. Clea Straus Rivera and Rocco Sisto in "Extreme Whether," written and directed by Karen Malpede, to be presented by La MaMa March 1-8, 2018. Photography © Beatriz Schiller 2018. 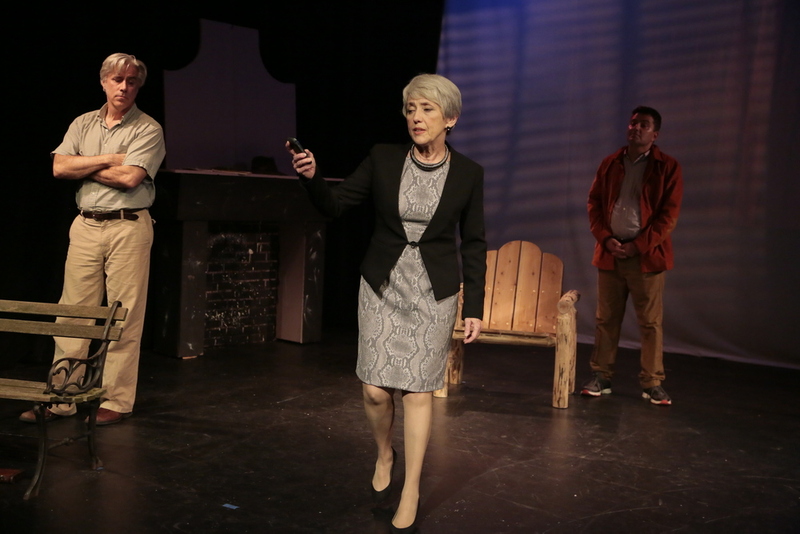 Clockwise from left: Clea Straus Rivera, Rocco Sisto, Dee Pelletier, George Bartenieff and Emma Rose Kraus in "Extreme Whether," written and directed by Karen Malpede, to be presented by La MaMa March 1-8, 2018. Photography © Beatriz Schiller 2018. George Bartenieff and Emma Rose Kraus in "Extreme Whether," written and directed by Karen Malpede, to be presented by La MaMa March 1-8, 2018. Photography © Beatriz Schiller 2018. Khris Lewin and Emma Rose Kraus in "Extreme Whether," written and directed by Karen Malpede, presented by La MaMa March 1-8, 2018. Photography © Beatriz Schiller 2018. George Bartenieff in "Extreme Whether," written and directed by Karen Malpede, to be presented by La MaMa March 1-8, 2018. Photography © Beatriz Schiller 2018. Emma Rose Kraus and in "Extreme Whether," written and directed by Karen Malpede, presented by La MaMa March 1-8, 2018. Photography © Beatriz Schiller 2018. Dee Pelletier and Rocco Sisto in "Extreme Whether," written and directed by Karen Malpede, presented by La MaMa March 1-8, 2018. Photography © Beatriz Schiller 2018. Clea Straus Rivera, Emma Rose Kraus and Rocco Sisto in "Extreme Whether," written and directed by Karen Malpede, presented by La MaMa March 1-8, 2018. Photography © Beatriz Schiller 2018. Rocco Sisto and George Bartenieff in "Extreme Whether," written and directed by Karen Malpede, presented by La MaMa March 1-8, 2018. Photography © Beatriz Schiller 2018. Rocco Sisto and George Bartenieff in "Extreme Whether," written and directed by Karen Malpede, to be presented by La MaMa March 1-8, 2018. Photography © Beatriz Schiller 2018. Dee Pelletier in "Extreme Whether," written and directed by Karen Malpede, to be presented by La MaMa March 1-8, 2018. Photography © Beatriz Schiller 2018. Khris Lewin and Dee Pelletier in "Extreme Whether," written and directed by Karen Malpede, to be presented by La MaMa March 1-8, 2018. Photography © Beatriz Schiller 2018. Nancy Romer speaks at talk-back following performance of "Extreme Whether," written and directed by Karen Malpede, presented by La MaMa E.T.C., 66 E. 4th Street, Manhattan, March 3, 2018. Photo by Jonathan Slaff. Nancy Romer (L) and Karen Malpede (R) at talk-back following performance of "Extreme Whether," written and directed by Karen Malpede, presented by La MaMa E.T.C., 66 E. 4th Street, Manhattan, March 3, 2018. Photo by Jonathan Slaff. We had the pleasure of a number of students from John Jay College for Criminal Justice in the audience in our audience. In honor of the wisdom of the young, we will let them have the final words about the experience of Extreme Whether. “This is my first play I have ever watched… it gave me a different perspective on taking care of the environment." and speakers from our festival of conscious. Extreme Whether ("brave and pioneering", "laced with darkness and humor" Andrew Revkin, NYTimes) had a sold-out premiere at Theater for the New City in October. Each performance was followed by a talk back (Dr. James Hansen, Dr. Jennifer Francis, Dr. Dale Jamieson, Dr. Ana Baptista and many others). 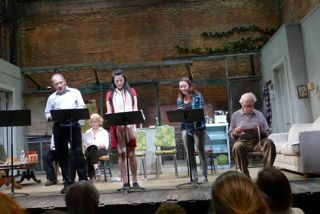 Andy Revkin described the play as about the American family in our current debate. Jim Hansen said "the love of nature" the play evokes is its most important part and the "documentaries are boring, but this play really moves people." Jennifer Francis says "it is just a most impressive play. 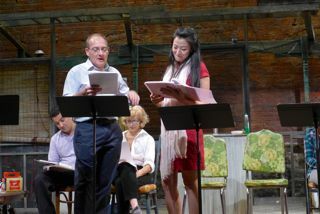 It was wonderful as a reading. It is even more wonderful now." Read about our outstanding collection of comments and reviews. For a more in-depth write up about the play, its' history and cast check out our article on broadwayworld.com. This was an international collaboration with Cei de Facto, Switzerland; Bilingual Acting Workshop & Fondation des Etats-Unis. Funding for Paris provided by: The Rockefeller Bros. Fund; Henning and Julia Hoesch; The Prospect Hill Foundation, Craig Richardson and Sarah Beinecke Richardson; and TTC's Producing Partners, that is, You. With the hope that we might bring this important play home from Paris. Listen to our excellent collection of Festival of Conscience speakers such as Dale Jamieson (below). We also had climate scientist speak such as Dr. Jennifer Francis and Dr. James Hansen. our speakers, artist, critics and supporters. "Do you enjoy great theater on an intimate scale? Are you concerned about our climate? 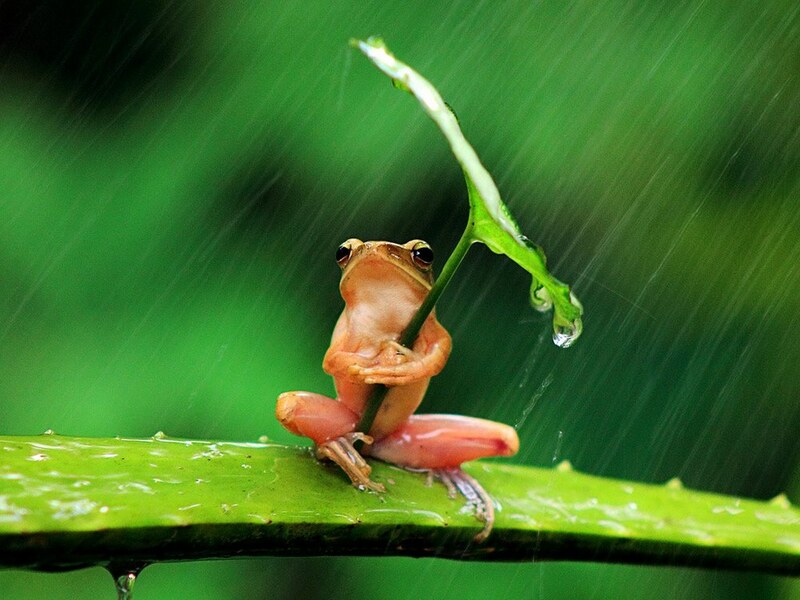 I recommend seeing Extreme Weather." "The play is wonderful. It made my hair stand on end." "This play is a MUST SEE...Karen has written a masterpiece for the century. Great work to the entire cast and crew! Bravo!!" "Abe and I saw this incredibly important play last night. It's political theater at its best: smart, quirky, funny, disturbing, informative and contemplative (all in good measure)." "I've just seen Extreme Whether - It was a wonderful evening. The characters were engrossing and richly portrayed. The acting blew me away." "This was a life-changing event." "Want good theater? With a masterful portray of "Uncle" by George Bartenieff who speaks eloquent truth about Mother Earth." Extreme Whether poses a bitter debate over the future of the planet but becomes a meditation on the sublime in nature. Written in a mix of prose and poetry, with invective, humor and a full musical score, Extreme Whether sets the battle over global warming within a single family as a challenge to the American family at this moment of ecological crisis. A major climate scientist, his colleague and lover, an Arctic scientist, wage fierce battle with his twin sister, a publicist for the energy industry, and her husband, a lobbyist, over scientific truth and an inherited wilderness estate. His wise-child daughter and her side-kick Uncle work to protect the natural world and sabotage its abusers. Click here to see the full list of speakers and their talk backs, such as Dr. Jennifer Francis and Dr. James Hansen. Enjoy some of our Archived Pieces as we continue to produce. We have a terrific play on a subject that could not be more important. Please Donate and become a Producing Partner of Extreme Whether! Listen to our friend and multi-award-winning actress Kathleen Chalfant! Below she talks about the importance of the new play "Extreme Whether", the seriousness of Climate Change and the role of Theater Three Collaborative in changing consciousness! See what she has to say about the play! Theater Three Collaborative was wonderfully excited to take part in the Speed-Dating Scientists and Artists Event on November 6 at the Rauschenberg Gallery, co-sponsored by the Earth Institute, Columbia University, Marfa Dialogues and the Robert Rauschenberg Foundation. 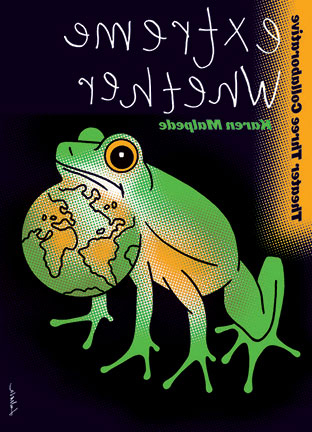 A family divided by the fossil fuel industry as a climate scientist struggles to tell the truth about global warming, his daughter struggles to save the frogs, while his sister wants to frack, with this live reading of excerpts from the upcoming play from the award-winning Theater Three Collaborative. We were asked: "When can this play come to Oklahoma? People would really resonate with this family story." We were told: "I loved the inter-generational, and inter-species relationships." "It's really, really good." We were asked: "What can we do about global warming?" To Sniffley, from your friend in Thailand. xoxo Me. HOW TO KNOW THE UNBEARABLE..
is a skill we need to massively acquire now as we struggle to comprehend the reality of global warming, sea level rise, and future extreme weather events. Featuring: George Bartenieff, co-founder of TTC, Zach Grenier, Kit Flanagan, Tonia Jagodnik, Di Zhu and Alex Tavis. A Festival of Conscience talk-back with Dr. Jennifer Francis, Rutgers University, Arctic Ice Scientist, was held after the reading. This reading was the launch of the campaign to bring this play to full production in 2014, and is an official selection of Climate Week NYC. We did a wondrous campaign on Indiegogo to raise 20.5k. We have been truly touched to know so many people that support us and truly believe in this play and its message. The campaign ran from Nov. 19th to Jan. 18th. A full 60 days! It felt so good to reach out goal. We were thrilled to announce that two staunch supporters, who believe that "Extreme Whether" is our most important play and project to date, has given a $5000+ matching grant for our Indiegogo campaign to mount a full production in 2014. Now any new donations at the time was worth double. It helped us speed over the finish line. We want to thank everyone who has supported us along this journey. Onward and Upwards!